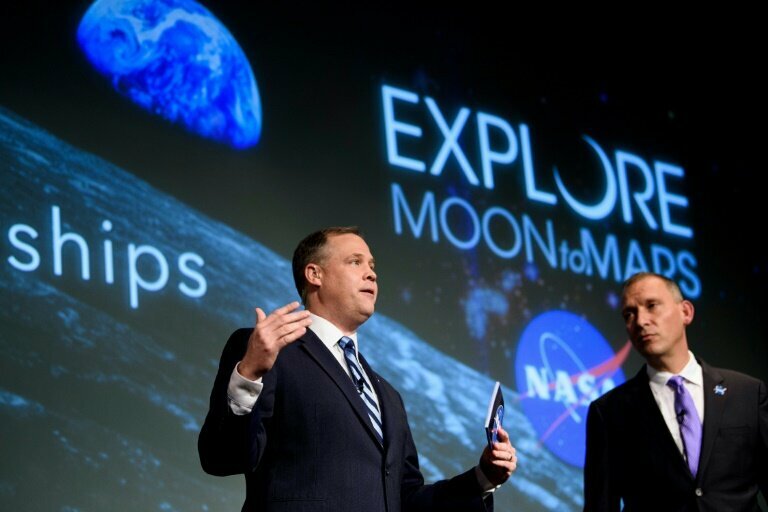 Jim Bridenstine, NASA’s administrator, said Tuesday that in order to achieve that goal, other parts of the program—including a lunar landing—need to move forward more quickly. “We want to achieve a Mars landing in 2033,” Bridenstine told lawmakers at a congressional hearing on Capitol Hill. “We can move up the Mars landing by moving up the Moon landing. The Moon is the proving ground,” added the former Republican congressman, who was appointed by President Donald Trump. The new date is politically significant: it would be the final year in Trump’s eventual second term at the White House. 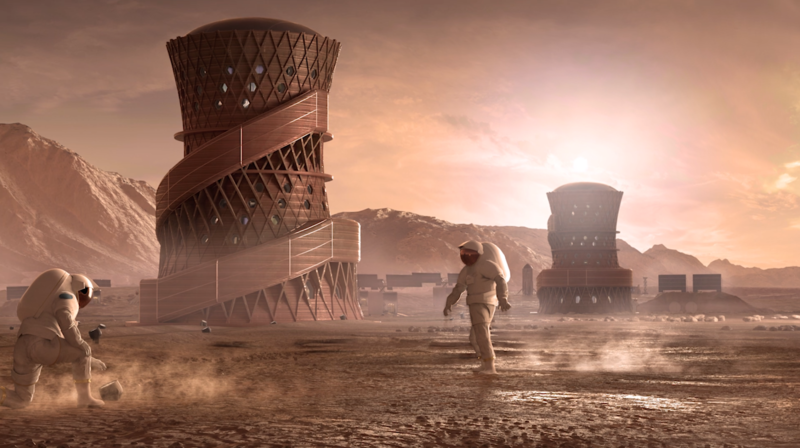 The 3D-Printed Habitat Challenge is a competition to create sustainable shelters suitable for the Moon, Mars or beyond using resources available on-site in these locations. The multi-level 3D-Printed Habitat Challenge puts teams to the test in several areas of 3D-printing, including modeling software, material development and construction. In addition to aiding human space exploration, technologies sought from this competition could also lead to lower-cost housing solutions on Earth and other benefits. The 3D-Printed Habitat Challenge will culminate with a head-to-head subscale structure print May 1-4, 2019, and the awarding of an $800,000 prize purse. Media and the public will be invited to attend the event in Peoria, Illinois. Since the Wright brothers first took to the skies of Kill Devil Hills, North Carolina, Dec. 17, 1903, first flights have been important milestones in the life of any vehicle designed for air travel. After all, it’s one thing to design an aircraft and make it fly on paper – or computer. It is quite another to put all the pieces together and watch them get off the ground. 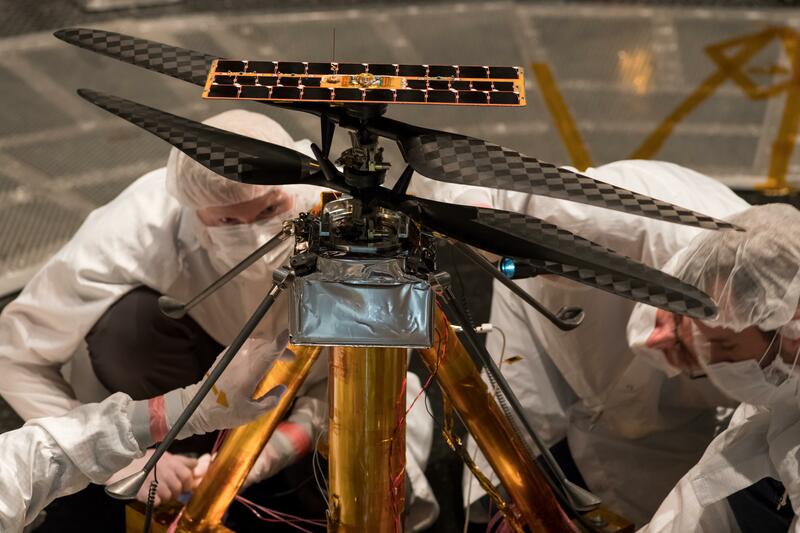 In late January 2019, all the pieces making up the flight model (actual vehicle going to the Red Planet) of NASA’s Mars Helicopter were put to the test. 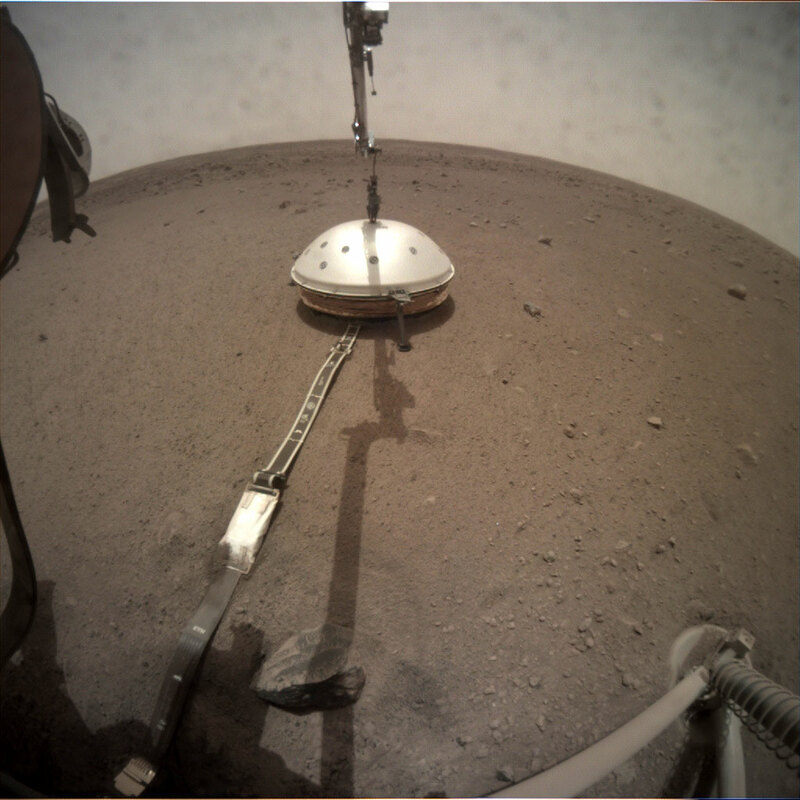 The majority of the testing the flight model is going through had to do with demonstrating how it can operate on Mars, including how it performs at Mars-like temperatures. Can the helicopter survive – and function – in cold temperatures, including nights with temperatures as low as minus 130 degrees Fahrenheit (minus 90 degrees Celsius)? Today’s Reason Podcast conversation is with Michael Solana, a vice president at the venture capital firm Founders Fund. The firm, which is worth upwards of $3 billion, founded by Peter Thiel, PayPal co-founder Luke Nosek, former PayPal CFO Ken Howery, and Sean Parker of Napster and Facebook fame. Some of the fund’s investments include SpaceX, Airbnb, Lyft, and Oculus, as well as variety of lesser-known companies in the realms of aerospace, biotechnology, energy, and internet technology. I spoke with Michael about the future, which he thinks about a lot both as an investor in emerging technologies and as host of the official Founders Fund podcast Anatomy of Next, the latest season of which explores the ways technological advancements in rocketry, materials science, augmented reality, fertility science, and artificial intelligence will get humanity to Mars and beyond. But Solana and his colleagues also believe that Silicon Valley is mired in groupthink and susceptible to the false promises of socialism. In this conversation, we talk about what Founders Fund is doing differently, why Solana believes capitalism is necessarily the engine of growth and innovation, the promise and perils of privatizing government functions, and what he’s learned from the famously contrarian Peter Thiel about what it means to be an independent thinker. As NASA eyes future missions to Mars, it needs to accumulate data on how large-payload rockets behave in atmospheric reentry conditions. 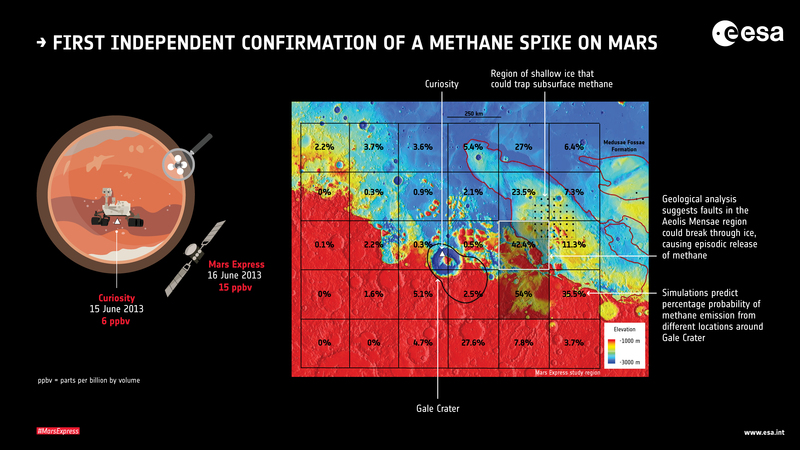 A recent collaboration between NASA and SpaceX allowed the space agency to capture some unique data on the reentry of a large rocket under Mars-like conditions in the upper atmosphere. Thermal video of the event is not only full of useful scientific data, it’s cool to watch. The video follows the path of the Falcon 9 first stage, which is the largest section of the rocket. It’s what launches the payload from the launch pad and takes it most of the way into orbit. After the second stage separates to complete the job, the first stage is either discarded, or recovered. Perfecting a method of landing and recovering the first stage is what SpaceX is working on right now (the Falcon 9R). The Falcon 9 is a perfect vehicle to provide this sort of reentry data because its first stage is capable of powered descent. Specifically, part of the return procedure is firing the rocket engines in retrograde, or in the direction of travel. NASA calls this supersonic retro-propulsion. This is the part of landing where the rocket slows its descent, and would be an important component of future Mars missions, both manned and unmanned. 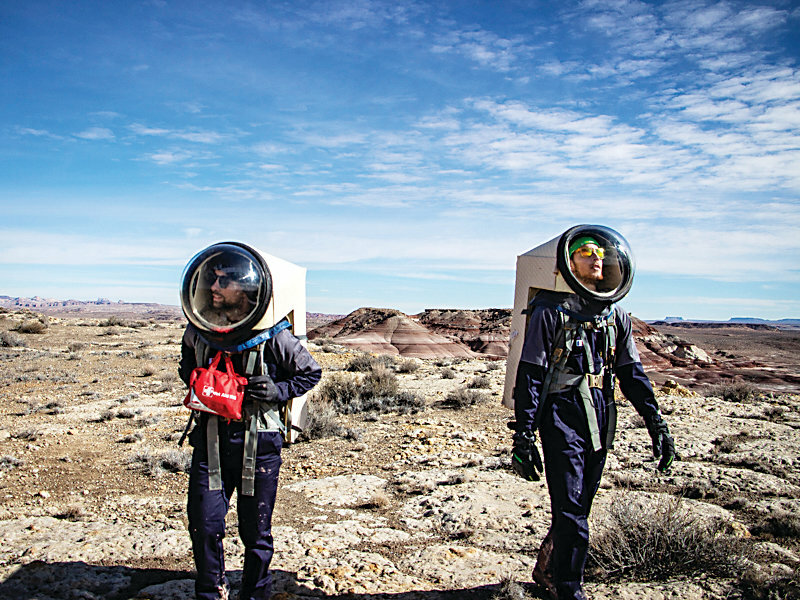 The Mars Society has two practice Mars exploration sites, one of which is in a desert near Hanksville, Utah. In Robert Zubrin’s Lakewood office hangs a photo he took in 2009 of a space shuttle taking off to repair the Hubble Space Telescope, a mission he strongly advocated for, despite pushback from former NASA Administrator Sean O’Keefe. Zubrin, an aerospace engineer, sees two versions of the future for humanity. The first is where new worlds are being explored, and even if things can go wrong, there’s an optimistic future of infinite possibilities. The other future is bleak in which the world is crowded and lacks enough resources to go around. Zubrin co-founded The Mars Society in 1998, a Lakewood based organization that is dedicated to human exploration and settlement on Mars. The organization, which has at least 7,000 members, works on public outreach and educational programs, political advocacy and research. The Mars Society has two simulated sites that mirror conditions on Mars — one in the Canadian Arctic and the other in a Utah desert. The sites are used for practice Mars missions to further understand the technology and science needed for humans to operate on the planet. Crews of typically six people attempt to conduct a sustained program of field exploration while operating as if they are on Mars. In the Utah location, a crew found a dinosaur bone, something that Zubrin says a robotic rover might have missed. Texting may be one of the best ways to communicate with future astronauts on Mars and other planets. Texting has several other advantages and could be used in conjunction with other communication methods.